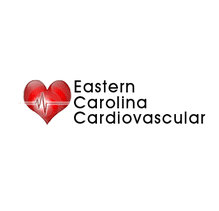 Immediate opening for a Nurse Practitioner / PA for a busy cardiology practice with a minimum of 1-2 year experience in cardiac care. Excellent compensation. Friendly call schedule (1/5) weekend call. Great work environment. One hospital & one office to cover. The practice is located in Yuma, AZ. Yuma has over 330 sunny days/year. Very nice weather in winter time. Hot but dry in the summer. It is at the border of CA and 10 miles for the Mexican border. Yuma is between Phoenix (175 miles) and San Diego (170 miles). Also Los Angeles, Las Vegas and Palm Springs are within 250 mile distance. Mexican Beaches (El Golfo and Rocky Point) are within 180 miles. Very friendly community. Small town living. Great place to raise a family. NP or PA needed for a cardiology/internal medicine outpatient practice in Rosedale Queens. NY..
Well-established, 3-physician, interventional cardiology group is seeking an experienced PA. Primary.. Very busy Cardiology Practice looking for a NP/PA to provide direct care to patients requiring hospi..